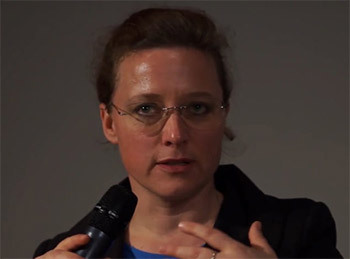 Polona Tratnik, Ph.D., is vice-dean for research at Alma Mater Europaea – Institutum Studiorum Humanitatis and the principal investigator of the research program Investigation of Cultural Formations. She is a Professor at the University of Ljubljana Academy of Fine Arts and Design, University of Maribor Faculty of Education, Faculty of Primorska Faculty for Design, and Sigidinum University Faculty for Media and Communication. She was a Fulbright Visiting Scholar and a Guest Professor at University of California Santa Cruz (2012), and a Guest Professor in Capital Normal University Bejing, China, University of Art and Design Helsinki Taik, Finland, and Universidad Nacional Autónoma de México, Mexico City. She is the president of Slovenian Society of Aesthetics. She authors five monographs, among others Hacer-vivir más allá del cuerpo y del medio (Mexico City: Herder, 2013) and Conquest of Body (Springer, 2016).